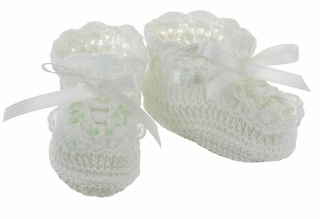 These are the sweetest little white hand crocheted booties! The booties feature a double row of delicate lace with the tiniest embroidered white rosebuds, pale green leaves and white satin ribbon ties. Perfect for christening, baptism, or dedication booties, a baby shower gift or a newborn baby gift! 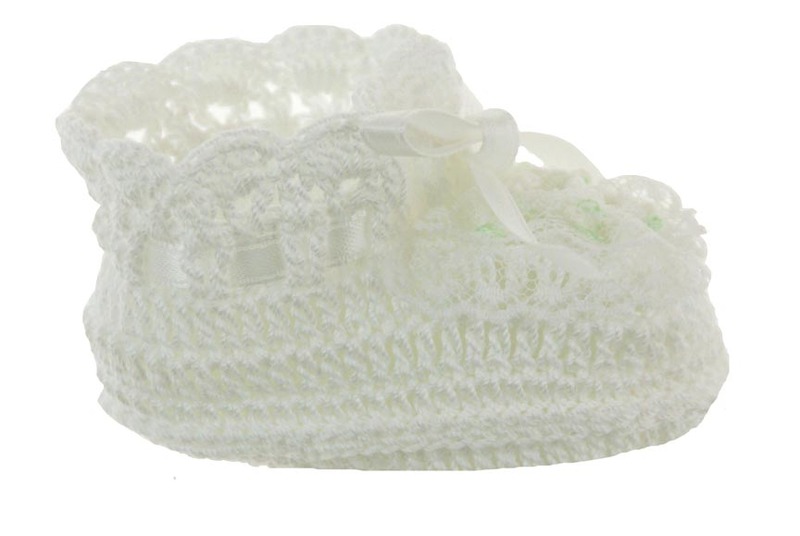 Note: These darling booties are also available in white with red embroidery, white with pink embroidery, white with yellow embroidery, pink, ecru, and cream. See below.